Guess where we are headed next month? If you guessed Lexington, Kentucky, you are correct! In just a few weeks, we’ll be sipping on juleps and sampling every kind of bourbon the beautiful Bluegrass State has to offer. This is our first time visiting, so if anyone has recommendations or travel tips, please let us know in the comments below. We will be attending an intimate blogger’s retreat, hosted by the lovely and talented Lauren of Harvest and Honey, a fellow finalist at the 2016 Saveur Blog Awards. We became instant friends at the ceremony in New York and are looking forward to spending more time with her in her hometown during this eventful weekend she has planned. Follow along on our Instagram Stories as we visit horse farms, tour bourbon distilleries, and taste moonshine for the very first time. Speaking of liquor, can we please discuss this cake recipe we are sharing today? 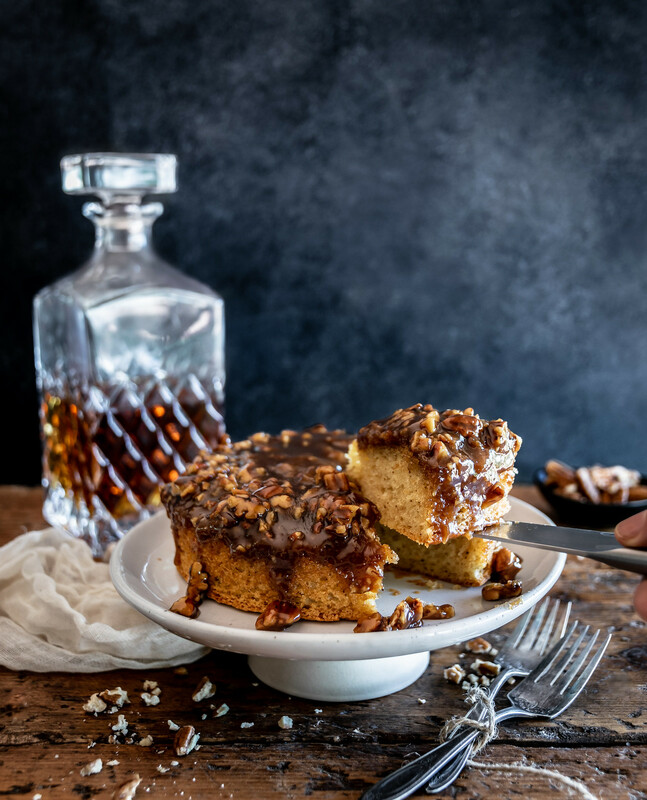 Inspired by our upcoming trip to Kentucky, we wanted to create a recipe featuring a classic southern ingredient: bourbon! So pick out your favorite bottle, put on some Bill Monroe, and let’s get this cake party started! The time has come! This Tuesday evening is the 2016 Saveur Blog Awards in New York City, and things are starting to get pretty exciting around here. Husbands That Cook has been nominated for the Best-How-To Blog, so tomorrow night we are flying in for the event to attend the ceremony in person. Ryan has a choir concert in the early evening and immediately after the show, we will be driving to the airport to take a red-eye flight to the Big Apple. We have a full week ahead of us and we invite you to follow along on Instagram where we will be documenting all our adventures, including a pasta-making workshop that we will be taking with Chef Tim Cushman of Covina. Over the past year we have met so many new friends and cooking bloggers through social media, many whom live in New York, so this trip will be the first time we get to meet many of them face to face. Oh, and you didn’t think we would depart without leaving you something celebratory, did you? Of course not! In fact, we specifically planned to post something extra special for the occasion. 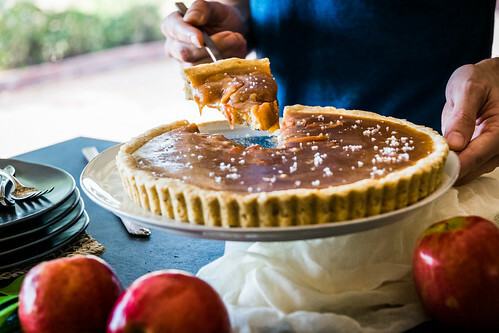 So before we start packing our bags, allow us to introduce you to this terrific tart, a salted caramel apple tart with a toasted hazelnut crust. And with this, Fall has officially begun. At this very moment, there are fifteen singers making beautiful music in our living room on this breezy Sunday afternoon. It is always a treat when Ryan’s choir rehearses here. Their resonant voices fill the house with rich harmonies and an uplifting spirit that purifies the soul. It is a gorgeous spring day and our windows and doors are wide open, so between songs, dozens of birds fill the gaps of silence with their inconspicuous melodies. The group is practicing a short, three-song set for a podcast they are recording next weekend including a powerful rendition of Ray Charles’ “Georgia On My Mind.” It has been quite entertaining around here as the house has been filled with guests all week. On Thursday night we threw a fancy outdoor dinner party for thirteen of our friends, including a seven course meal, three different kinds of cocktails, and strawberry shortcake with homemade vanilla ice cream for dessert. We knew this week would be busy, so when planning our blog schedule, we wanted to find something delicious, yet simple. Like three ingredients simple. Well, we hit the jackpot. Little did we know that starting this blog just eight months ago would completely change our lives in so many ways. Last year around this time, if someone were to predict that in 2016 we would be spending our days taking pictures of peanut butter banana smoothies and key lime pies, we would have thought they were completely crazy. But here we are, loving every second of this new adventure exploring the infinite nature of food from all around the world, discovering new recipes, cooking with exotic spices that we have never used before, and broadening our knowledge in the kitchen. 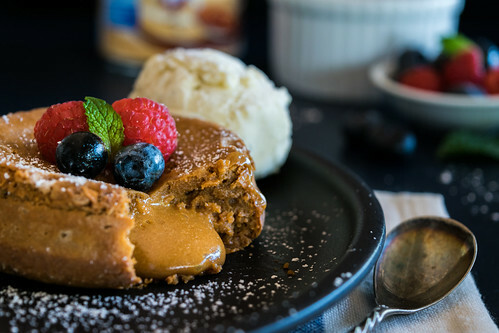 We love the spontaneity of every day, like waking up to find out it’s National Chocolate Cake Day and changing our plans from making a vegetarian soup to a decadent cake topped with a rich caramel whiskey sauce, or being invited to participate in making fancy avocado toast or a chia pudding party! The constant variety keeps the process fun and exciting, and each day brings something different, like this momentous dessert we are thrilled to be sharing today! We had been dreaming about trying the mouthwatering apple cider caramels from the Smitten Kitchen Cookbook for our next post, but at four thirty in the morning, fate was kind enough to wake up Adam with the idea to replace the apple cider with blood oranges. He was considerate, and waited for the sun to rise before waking up Ryan with his early morning suggestion. With a well-rested mind, and building on Adam’s unexpected citrus concept, Ryan added some tasty suggestions and these extraordinary treats were born. Before we knew it, we were in the kitchen making something entirely different than originally planned. 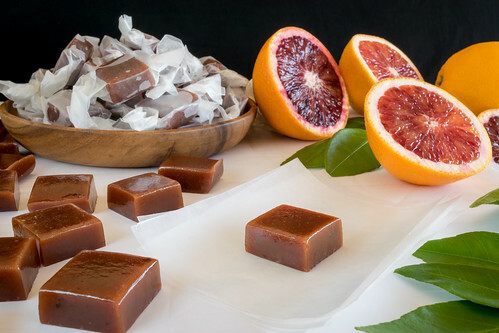 These rich and chewy seasonal caramels are soft, sweet and buttery, bursting with fresh blood orange flavor, and so addictively delicious that you might wake up at 4:30am thinking about them too. Sometimes, the tastiest things in life are also the most simple. Like sipping a hot cup of coffee on a chilly October morning, enjoying a crusty baguette with a slice of savory cheese, or eating your favorite fruit, freshly-picked from the tree. Some things just don’t need amending and are perfect in their purest form, like a majestic rainbow, or a dreamy sunset… or these heavenly butterscotch squares! 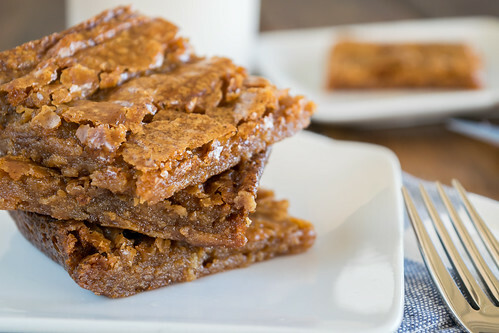 With an easy prep and just seven ingredients, these deliciously decadent treats are sweet and ultra-chewy with irresistibly crisp edges and an intense butterscotch flavor. There are no bells and whistles here, since these rich and buttery delights are so good on their own that they don’t need any additives like nuts, marshmallows, or shredded coconut interfering with their simple, pure butterscotch perfection.